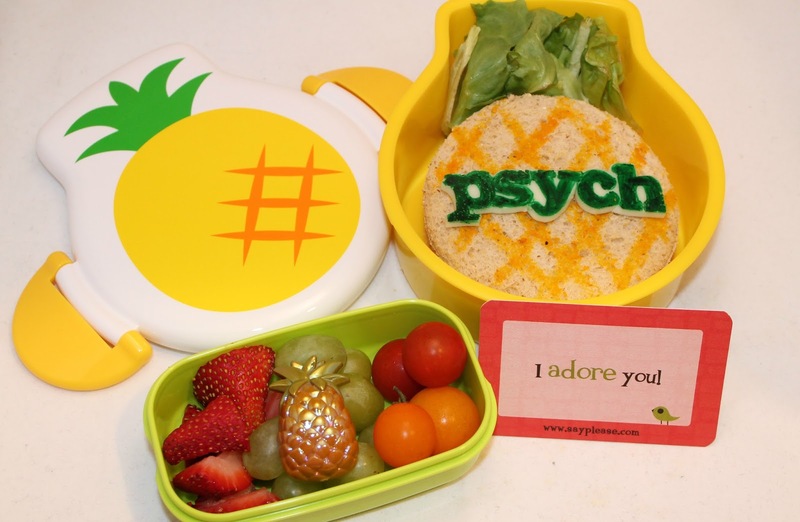 I am a huge fan of Psych.I LOVE your lunch and the great pineapple box. This is an awesome lunch, love the show it makes me laugh so much, but I love this lunch even more! Oh my Gosh, that's so cool. Such a cute box and lunch! Love this Psych lunch! So cool! I love this! Pineapple sandwich ~ perfect!